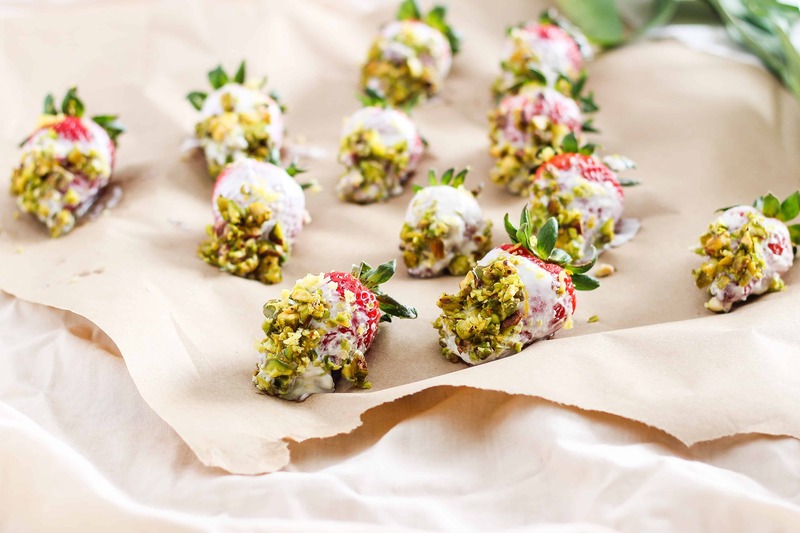 Whether you’re in need of a healthy mid-afternoon pick-me-up or a deceivingly simple spring dessert for entertaining, these easy 4 ingredient yogurt dipped strawberries are coming to your rescue. It’s easy to over-complicate cooking and healthy eating but often the simplest of recipes really are the best. I was reminded of this most recently when I put together these easy 4 ingredient yogurt dipped strawberries. I hesitated to share this recipe on the blog because it almost seemed too simple at first but thankfully, this hesitation only lasted a brief millisecond. These babies are just way too delicious not to share with you. And who doesn’t love a simple sweet treat? With the spring season in full swing, there’s also no better time to fill up on delicious, nutrient-dense strawberries, my favorite seasonal fruit of the moment. Strawberries are packed with fiber, antioxidants, and energizing carbohydrates. Pairing them with creamy yogurt and pistachios for added fats and protein makes a delicious balanced snack or sweet treat that will leave your belly feeling happy for the long haul. Whip up a batch and leave them in the fridge for easy grab-and-go snacking or plate them on a fancy platter and serve for dessert. 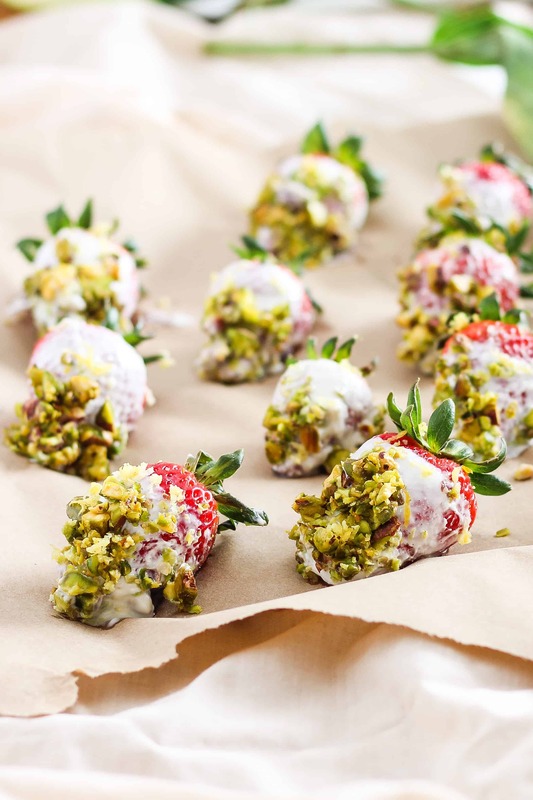 These yogurt dipped strawberries prove that super simple recipes can still be made to impress! 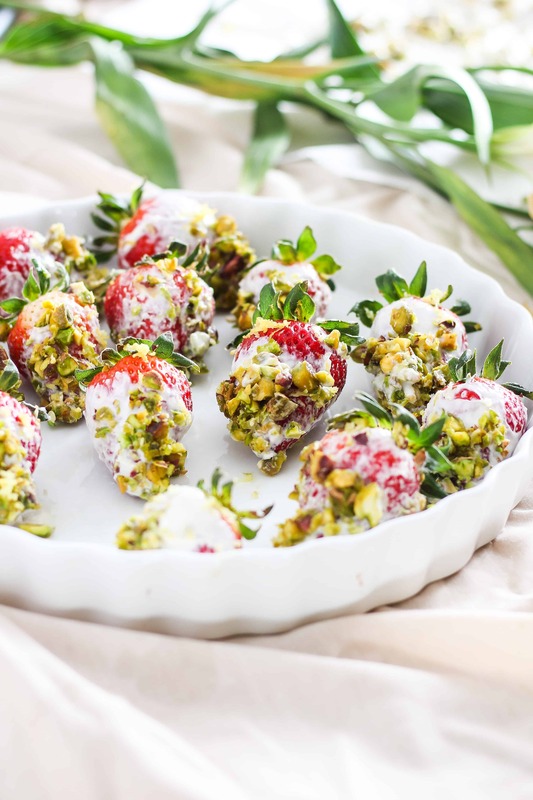 4 basic ingredients are all you need to create these deceivingly simple yogurt dipped strawberries, perfect for a quick healthy snack or impressive dessert while entertaining. Spread strawberries on a flat surface such as parchment paper. Pick up one strawberry (holding the green cap), dip about 75% in the yogurt and spin until the strawberry is covered. Place strawberry back on the parchment paper and repeat until all strawberries are coated in yogurt. 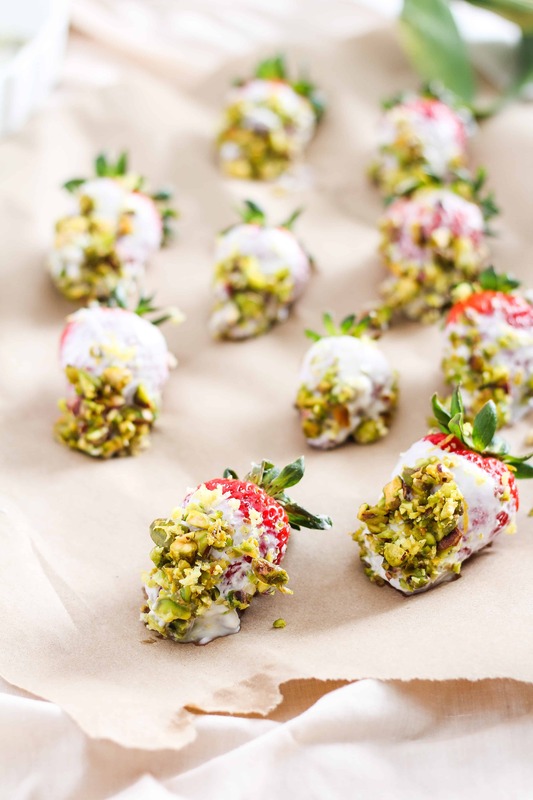 Sprinkle strawberries with chopped pistachios, using your hands to press pistachios into the strawberries if needed. Use a zester to sprinkle lemon zest over each of the strawberries. Transfer to a dish and chill before serving. What are your favorite simple snacks to have on hand at home? 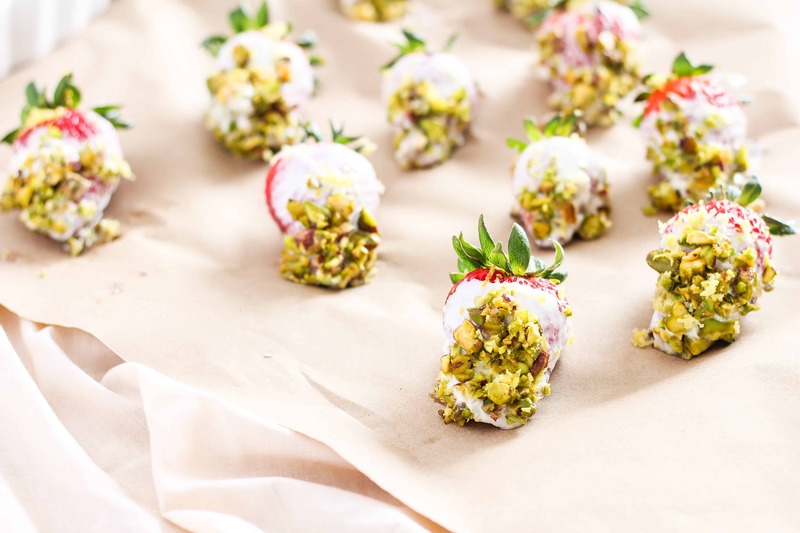 Did you enjoy this recipe for yogurt dipped strawberries? Sign up for email updates and get a free recipe ebook with more healthy plant-based meal and snack ideas!